You can also like us on Facebook to get more of the latest updates. Fergie Jenkins Way Street Sign, complete with more than 10 statistical inscriptions. It can be yours for a $100.00 (with all stats) or $75.00 (with only signature) donation to the Fergie Jenkins Foundation. This is an official Seat Bottom, taken from Wrigley Field when renovations took place at baseball's most storied ballpark. 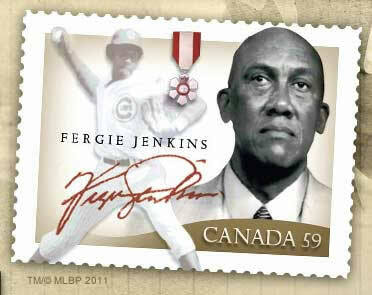 It comes with more than 10 of Fergie Jenkins' statistical inscriptions, as well as his autograph. It can be yours for a $100.00 donation to the Fergie Jenkins Foundation. Shipping and Handling will cost extra depending on location.